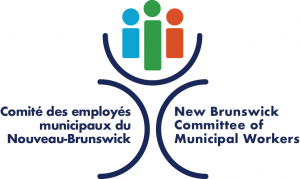 MONCTON: The Union representing Health Care workers in New Brunswick, CUPE Local 1252, is worried about the impact of the recent budget cuts and what the next round of budget restriction will have on the delivery of health care in the province. “We have been informed that the Health Authorities will slash another 1% from their budgets in the coming year. How deep do the cuts have to be before the citizens of New Brunswick realize they need to speak out to save healthcare?” asked Norma Robinson, the President of the New Brunswick Council of Hospitals Unions, CUPE Local 1252. “What will be the impact on patient care of these new cuts? What services will be impacted by those cuts. What closures are we going to see? New Brunswickers deserve to have these questions answered”, said Robinson. “All these changes have an effect on the workers who deliver the services. We are currently seeing an increase in the Workers Compensation claims from injured employees who are forced to work alone due to staffing reductions. “We need to keep health care services public; publically delivered health care is the most cost effective service”, concluded Robinson. More than 100 members of CUPE Local 1252 are meeting in Moncton this week for their annual meeting.